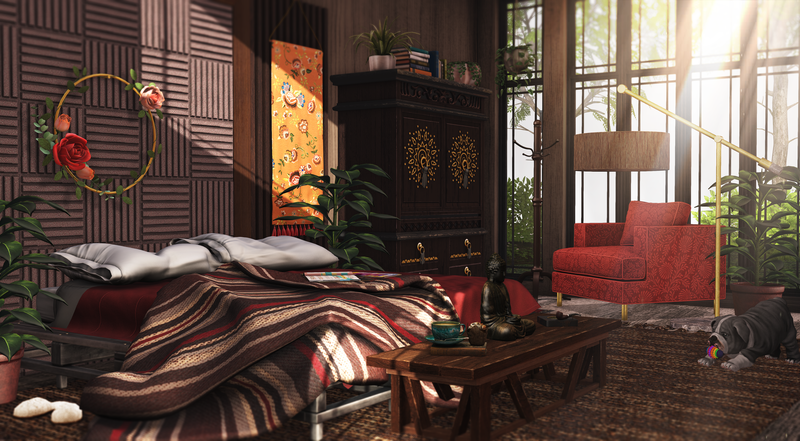 A new round of FaMESHed began on the 1st and you will be able to find this gorgeous bed by .peaches. and chair and lamp by Granola. I mixed in a lot of other decor pieces, which are all listed below. Granola. Isadora Chair. Print2. PG. Granola. Isadora Floor Lamp. Dark w/ Marble2. Love how the sunlight peeks into this beautiful room.